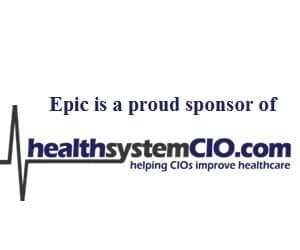 Earlier this month, CHIME held its biannual Boot Camp, an intensive three-and-a-half-day education program for CIOs and senior IT leaders in healthcare. The goal is to provide participants with the skills, knowledge, and networking opportunities that CIOs need to succeed. I had the opportunity to teach a course this year on Change Management/Change Leadership. Based on based on feedback and discussion points, I’ve come up with what I feel are seven of the top takeaways that both attendees and instructors should remember. Relationships and networks are essential. Everyone needs a network of friends in the industry to act as trusted consultants and help you work through issues and challenges. We should give not to get, but to help each other succeed. Change is good… You go first. It’s not change management; it’s change leadership. There’s a major difference. When you lead your organization through a change process, understand that YOU may need to change first in order to effect positive organizational change. Work through examples to reinforce what you learn. To make new knowledge stick, you have to apply it. Choose a real-world case study to reason out a solution. This provides an opportunity to experience a difficult challenge, but in a safe place. Value — what is it really? We all know how important it is to demonstrate the value of the work you and/or your team provide, but it’s also really difficult sometimes. Value, like beauty, is in the eye of the beholder (or in some cases, your board). So think about and describe your value in terms of how the services you provide further the mission, vision, and principles of your organization. Customer service should be a habit, not something that we just do. Great customer service should be modeled by the leadership of any organization. You teach the behavior that you accept. Learn from those who have traveled the road before you. There’s no reason to repeat the same mistakes as others, so tap into your network to learn from the experiences of your colleagues. Learning from your mistakes is called experience, and learning from others’ experiences will always give you a boost. If you can, stand on the shoulders of giants. High performance teams do not occur naturally; they have to be managed into existence. High performance teams, once formed and set into motion, typically don’t need a lot of care and attention — just gentle encouragement and guidance along the way. A light hand on the reigns always works best. The success of the team will be shared by the team, without the need of a standout performer. High-performing people want to work for high-performing organizations. This piece was originally published on Indiana HIE’s website by Chuck Christian, Vice President of Technology and Engagement. To follow IHIE on Twitter, click here.